TORONTO, October 14, 2015 – Fifty-nine students in the Dadaab refugee camps in Kenya will each receive a York University Certificate of Completion in Educational Studies on Thursday – the first graduates of a unique program designed to take post-secondary education to where refugees live. The enormous achievement of these refugees will be recognized during the annual convocation ceremony for Faculty of Education graduates at York’s Keele campus. The students from Dadaab – a sprawling group of camps with 350,000 refugees − are not able to attend York’s ceremony. However, they were taught by members of York’s Faculty of Education, who travelled to the camps to teach courses in person and also offered courses online. They have also completed 30 university credits, similar to Bachelor of Education students at York. 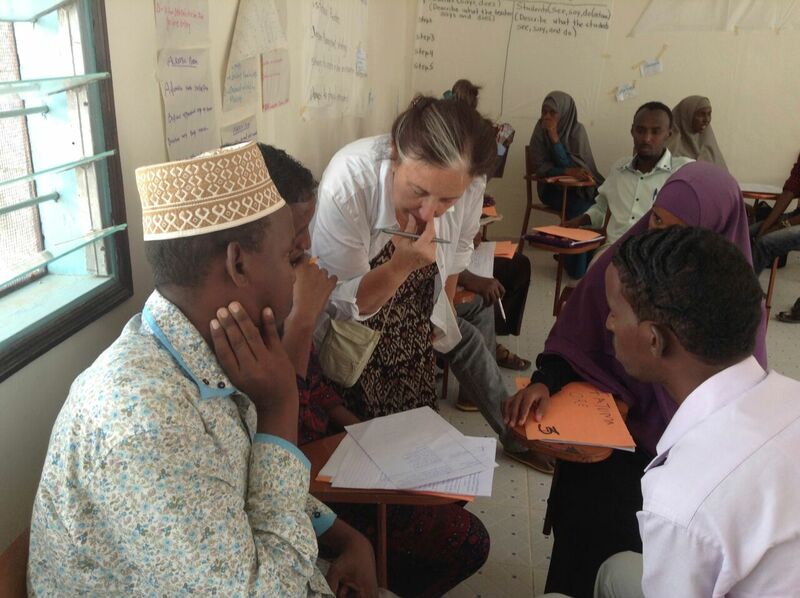 The new certificate program is offered to students who live in Dadaab and in local communities nearby as part of the Borderless Higher Education for Refugees (BHER) project, led by York U Anthropology professor Wenona Giles and Education professor Don Dippo and hosted by York’s Centre for Refugee Studies. York has received $4.5 million in funding from the Department of Foreign Affairs, Trade and Development for the BHER project, which is a development partnership of York, and Kenyatta and Moi universities in Kenya, the UN High Commissioner for Refugees (UNHCR), University of British Columbia and Windle Trust Kenya. The goal of the project is to deliver post-secondary education to refugees in order to improve the quality of teaching and education for children in the camps. Two-thirds of the 59 students already work as teachers in the camps’ schools. At a time of unprecedented concern about refugees worldwide, the BHER project is a symbol of York University’s commitment to social justice. The BHER project is serving as a model for projects under development by other universities worldwide, including for Syrian refugees in Turkey and in Lebanon. A virtual university project is being developed for refugees in Germany and BHER has also led to the founding of the BHER Eastern Africa Partnership led by Kenyatta and Moi universities. During the Convocation ceremony at 3:30 pm on Thursday, images of the students will be shown on screen. They include 50-year-olds who fled Uganda under attack; 20-year-old Somali students who were born and have lived in the Dadaab camps all of their lives; and new mothers, trying to balance household expectations with their desire for education. Professors Don Dippo and Wenona Giles are available for interviews. Students from the Dadaab campus are also available for interviews with 24-hour notice.